As light workers, the Solstice can help us align to the Healing Energy of the Sun and also access more Light to build our Light Quotient. 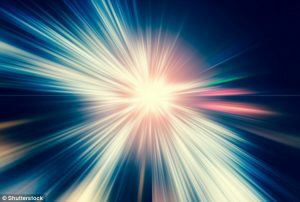 While we access the Light of the Sun every day, at the Solstice when the Sun reaches its zenith point from our planet, the Light it embodies is a powerful force that can help us – en’light’en our subtle bodies; ‘light’en our frequencies; and embrace our inner ‘light’. So if you feel that your energies are a bit congested, or you have a constant reminder of a particular thought, pattern or body memory that doesn’t embrace the Light, align with the energy of the Solstice to assist you in cleansing and clearing your fields, and then elevate your frequencies by bathing in the Light. The Solstice is also a time when our Soul may nudge us back onto our path, using the Light to trigger a deeper remembering. So if you feel that you are not connecting deeply, or are missing a piece of your Soul jigsaw, align with the Light to help you remember that which you have forgotten. Are you on your Divine Path of Service? Perhaps at this time of our evolution you have literally wandered off your Divine Path of Service and feel the need to re-commit to your unique Path. The Light from the Sun can help you do that too. Or if you have never actually committed to your Path of Service, the Solstice is a great time to interact with the Light of the Sun to create this intention and recognise your unique and soulful Path of Service. It helps us to wake up to a higher purpose and the higher realms. Its encoded wisdom helps us make better sense of what is happening, and where we fit in the plan. Its different frequencies help us clear stagnation and illness, and its lighter frequencies helps us resonate with Joy and Love. The Light from the Sun helps us understand how to live a Light filled life, and walk and talk in the Light. While the warmth of the Sun prompts us to dance, sing, walk, run, bathe, play and dream in its Light. It also reminds us that we come from the Light and it teaches us how to return back to the Light, back to the Source of who we truly are. Whatever you do, and whoever you do it with at the Solstice, may your heart resonate with truth and Light; may your body be cleansed of all stagnation; and may you remember at the deepest part of your being who you truly are. 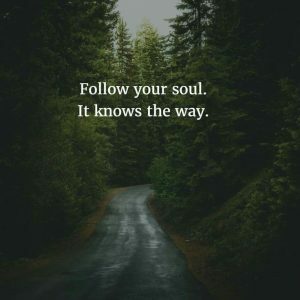 This entry was posted in Blog and tagged accessing the light at the Equinox, follow your soul, Light activates our soul, Light and Soul, living with soul, the energy of the sun, The soul and the Solstice, what is my divine plan. Bookmark the permalink.